A call, a dodgy website, an impressively themed pop-up – most of us know how tech support scams work, and most of us probably think we’ve got it covered. 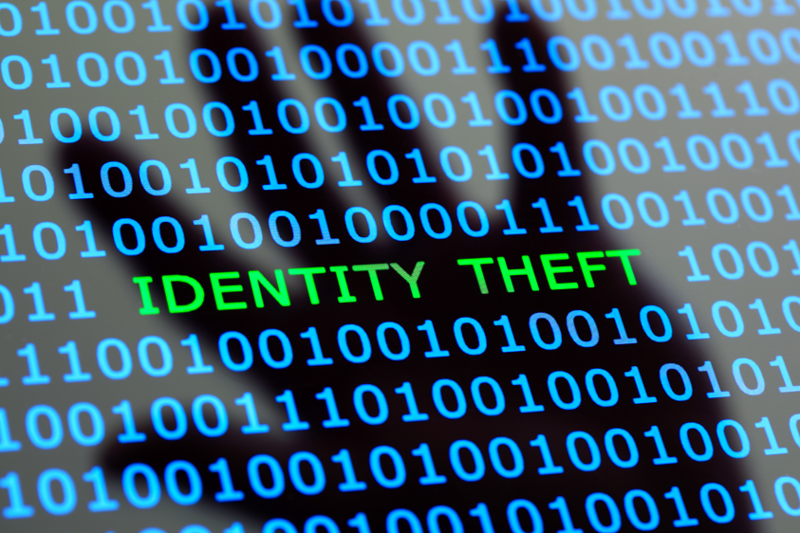 So how did I end up on the phone to LifeLock, IdentityForce, Experian, Equifax, my banks and my immigration lawyer, in an ordeal so frustrating I’m dedicating an entire blog post to it? Most people I’ve spoken to initially told me they don’t store any private files on their machines. A little probing reveals they do, because they recently renewed their passport, lost their driving license, or confirmed their ID with the bank. My Mum got caught out by a ‘Microsoft’ pop up. She gave their technical team a call on the number given, and by the time she worked out she wasn’t speaking to Microsoft, they had ran through a barrage of tasks, installed some software and deleted a few bits and pieces. Of course, they charged her for it. I found out about the mistake several days later in an email containing a list of documents of mine that were on the computer in question. Shortly after, I received a second email as the list increased in size. From forwarding a bank related letter via email, to scanning my birth certificate for my green card application, all my info was on there for one reason or another. It is impossible to fully protect ourselves and others against these attacks, even if you think you personally would never fall for them. As we continue to churn out solutions and educate inexperienced users, there is no doubt the bad guys will come up with more innovative ways of tricking our friends and family. Our software has always been designed to use spare space on existing computers to provide highly secure and self healing drives in minutes. While businesses typically deploy it across many machines for these reasons, the encryption, locking and invisibility features could be just as vital to home users with just one or two computers. AetherStore can be downloaded, installed, set up and ready to go in under 5 minutes. If you don’t believe us, watch this 2-minute setup video. There are a number of other companies and open source projects that provide a service like this, but I believe we have the most straightforward solution to understand, setup, and maintain. We follow the core AetherStore principles: give your drive a name, size, drive letter, and enter a password. Then if there’s anything you’d like to have secured in your computer, store it in your AetherStore. 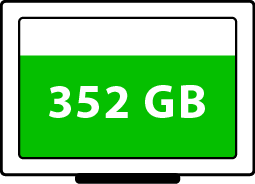 We’ve decided to offer a 25GB store for free so everyone (and their friends and relatives) can take advantage of this. You can download AetherStore 2.0 here. It seems that the most popular analogy on the web for having an encrypted drive on your machine is of a house having re-enforced front doors. But looking at this situation, I don’t see it like that. This is an extra line of defense. You might make a mistake and let a dodgy salesperson into your house, but would you open your safe? The Systems Administrator at the University of Kentucky – College of Architecture Agriculture oversees a 300 PC environment within the robust university network, including a storage server holding custom programs, downloads, installs and ghost images. SAN solutions were unrealistic due to budget restrictions. The team also considered NAS products but ultimately sought to avoid purchasing new hardware in general, as it consumed additional physical space and required a significant time investment to set up and maintain. The team first installed AetherStore on eight machines to open up 1.2 TB of raw storage, effectively doubling previous capacity by utilizing only a fraction of their PCs. Image data from the department’s storage server will be migrated to the AetherStore drive, freeing up capacity on the server and ensuring the images are stored in a reliable location for the long term. The next stage of their AetherStore deployment will involve pooling space from over 200 PCs, opening up an estimated 30+TB of raw storage. 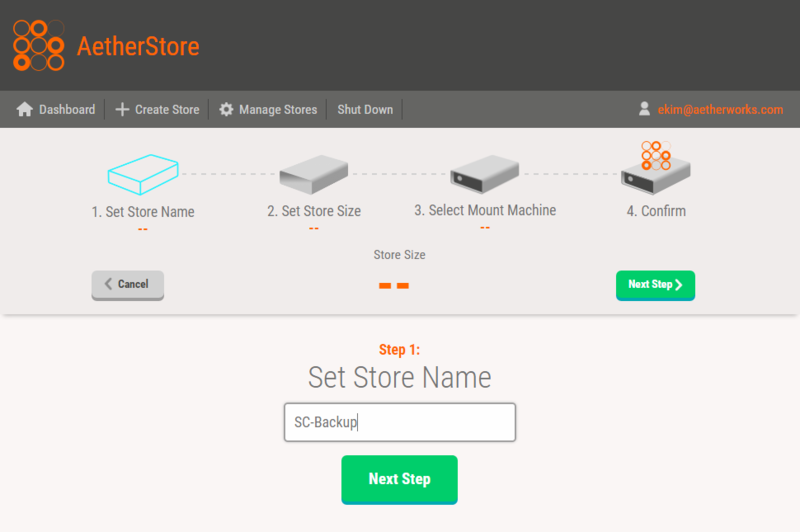 In addition to storing image files, AetherStore will be used as backup for a number of the department’s other files. 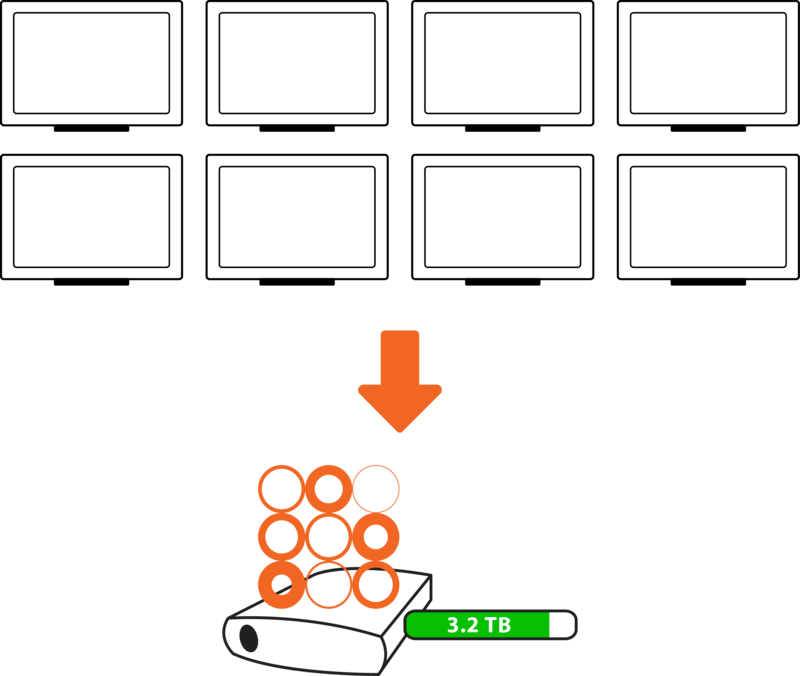 With standard features including built-in redundancy, in-line deduplication and encryption, AetherStore’s value eclipsed exponentially more expensive, hardware-based storage alternatives. Check out AetherStore in your environment – your first 25GB Free! 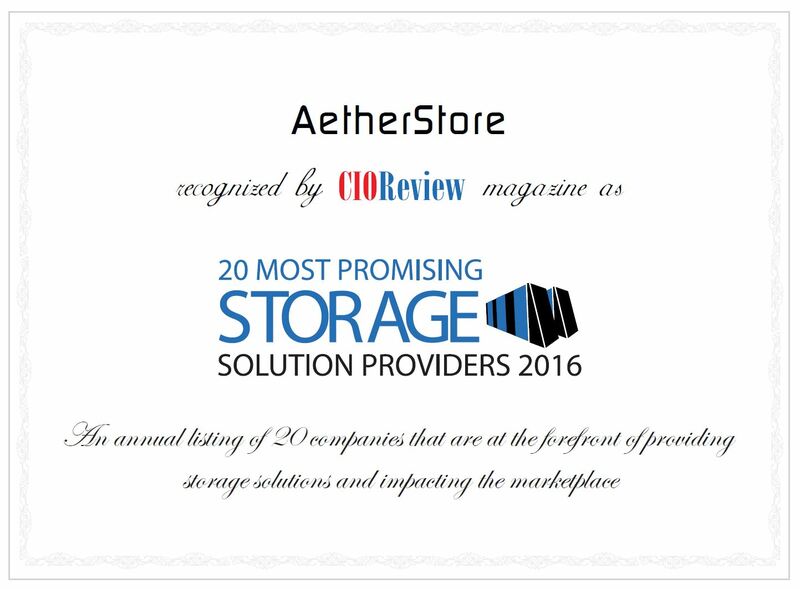 AetherStore was proud to be recognized by CIO Magazine as one of 2016’s most promising storage solutions. Check out the feature below, and try the AetherStore 2.0 Early Release for yourself! Organizations are creating more data than they can store. To keep up, firms need fast access to secure, affordable storage, and there’s no more efficient way to meet demand than to use existing hardware to its full potential. 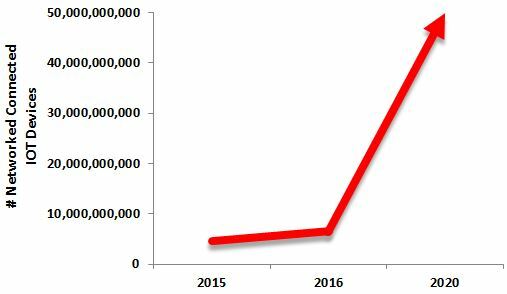 Fueled by advancements made in computer network and storage virtualization, enterprises are recognizing the advantages of scalability within their own infrastructure. New York, NY based AetherWorks’ solution, AetherStore, enables organizations to pool unused space on workstations and servers into a robust, secure drive, turning would-be wasted space into an enormous data storage opportunity. 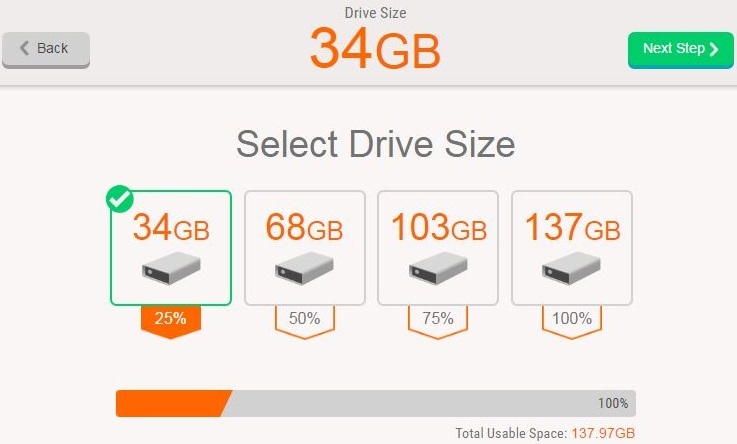 AetherStore users are able to create a drive in minutes with the desired amount of storage, which can be further increased or decreased by adding or removing machines on demand. Customers use AetherStore by downloading and installing the Core on machines with extra space, and the Dashboard on the device from which they will manage their space. The solution provides built-in redundancy, storing four copies of each data chunk across the machines in a client’s network. AetherStore is also inherently self-healing and will recopy data to active nodes to proactively maintain 4x replication without any manual intervention. AetherStore encrypts data in transit and at rest, and only the administrator has access to the drive. AetherStore also provides deduplication for added efficiency. Clients across verticals are creating storage on demand using only their existing hardware with AetherStore, while staying within budget. In one such instance, one of the company’s clients at a large university was facing a shortage of storage space as well as budget constraints to purchase new hardware. The university installed AetherStore on their machines and reclaimed over 30 terabytes of storage space for onsite backup, saving many tens thousands of dollars and the headache that comes with pursuing additional hardware like a SAN. See what AetherStore can you for your environment! Check out the AetherStore 2.0 Early Release. Our CEO & Founder at AetherWorks, Robert MacInnis, Ph.D., led a round table on Fog Computing at MangoCon, an IT Conference held in New York earlier this month. Having recently secured a patent for their work in Fog Computing, MacInnis and the AetherWorks team are leading the charge on resource efficiency in IoT. Stay in the loop! Sign up for the latest in Fog Computing, and early access to projects like AetherWorks’ resource-saving storage software, AetherStore. 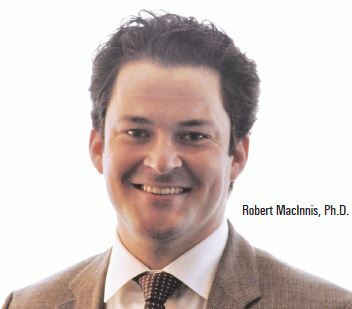 MacInnis, Robert. “Systems and Methods for the Demand-driven Deployment of Location-neutral Software.” US Patent 9,055,026. 9 June 2015. AetherStore is thrilled to be growing our Partner Program in 2016, and a smooth on-boarding process is vital to setting new Partners up for success. While no two Partners have the same schedule or preferences when it comes to evaluating new products, we’ve gathered their feedback and tested a variety of forms and phone calls to improve the experience. Using the five key findings outlined below, we designed an intake process that gives Partners everything they need to evaluate AetherStore on their own schedule. Partners should be able to access information without waiting on a sales team: Our Partners’ number one priority is providing excellent service to their clients, which means researching new products often fits in after business hours. This became even more apparent when we started noticing a spike in AetherStore introduction calls scheduled on holiday weekends! To accommodate this, Partners can access the software and all educational resources in the portal the moment they sign up – no waiting on a sales team to grant access. Not everyone enjoys phone calls as much as vendors: A phone call used to be a prerequisite for starting an AetherStore trial. For us, it’s still the best way to understand business needs and share our vision for AetherStore. However, for those who prefer working solely over email or through the Portal resources, there’s no mandatory call to begin selling AetherStore. Instead we’ve added a scheduling tool Partners can use to plan a call on their own time. We’ve found both parties get more out of the conversation this way, and we look forward to continuing to speak with each and every one of our Partners! As a vendor we need enough information to perform our own due diligence: All AetherStore Partners become our business Partners. We want to work with those who see the same incredible business opportunity we do in making unused storage a thing of the past. A sign up form enables us to a) ensure inquiries are credible and b) learn enough about each business to provide the appropriate support, marketing and sales information. By entering some essential details to get started, Partners let us know they’re serious about establishing a successful AetherStore business. There has to be a free trial for Partners (and their customers): Free trials have always been part of our sales process. In our earlier days, free trials were a necessity to help educate users about our new technology. Now they’re equally important for Partners, who need to use our product before recommending it to clients. Partners access a 45-day trial immediately when they sign up, which becomes a free NFR copy upon signing our resale agreement. AetherStore Partners also have the ability to generate their own additional, 7-day trial licenses for clients straight through the Partner Portal. Sales minimums shouldn’t prevent anyone from becoming a Partner: Partners can request a reseller agreement as soon as they’re comfortable selling and supporting the product, even if they haven’t made their first sale. Our job is to help Partners build a successful AetherStore business, which means providing access to everything they need to be successful right from the start! Let us know what you think! Start your AetherStore Partner Evaluation now. Wellston Technology will deploy AetherStore as a central part of their Backup and Disaster Recovery strategy at a client site with 350 machines, producing storage for redundant backup. Brant Wells, Owner & Lead Technologist, leads the AetherStore implementation. Brant’s first AetherStore installation was a test environment across four nodes, creating a 30GB Store for smaller backup and CD/DVD images. They also have a small set of random software packages available on the Store. Going forward, Brant will expand the size of his Store across more of the 350 client machines to host a much larger backup, and add additional software packages to his Store.